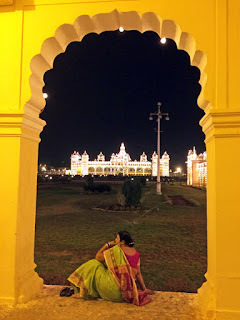 knit & crochet design: Mysore 2016 - So much to do and see! 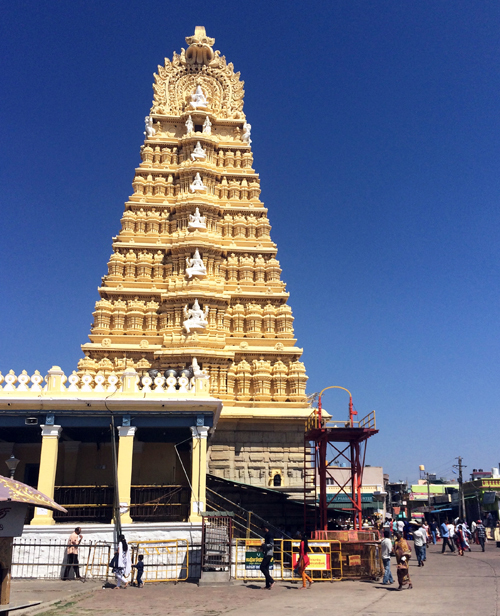 Mysore 2016 - So much to do and see! We have been home from India and our wonderful adventures in Mysore for a little over a week. It has been hard work getting over the jet lag and adjusting to life back at home, but we have incredibly fond memories of our trip and hope to return to the wonders of the Green Hotel again in a couple of years time. 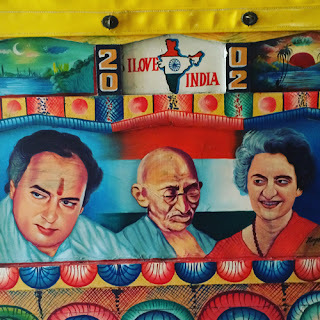 While we were away we visited lots of incredible projects (see previous post), but also got to visit some lovely places of interest too. On the Sunday evening of our first weekend we visited Mysore Palace to see the lights come on. 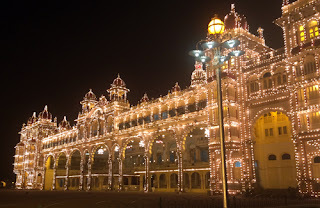 The palace and buildings within the grounds are lit up for half an hour in the evening and it is a real sight to behold and my images don't do it justice! 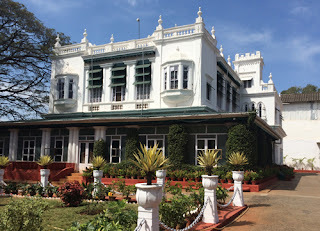 The Green Hotel was also once part of the Royal estate and belonged to the same Royal family as the main Mysore Palace before becoming part of Premier Film Studios and then the Hotel. 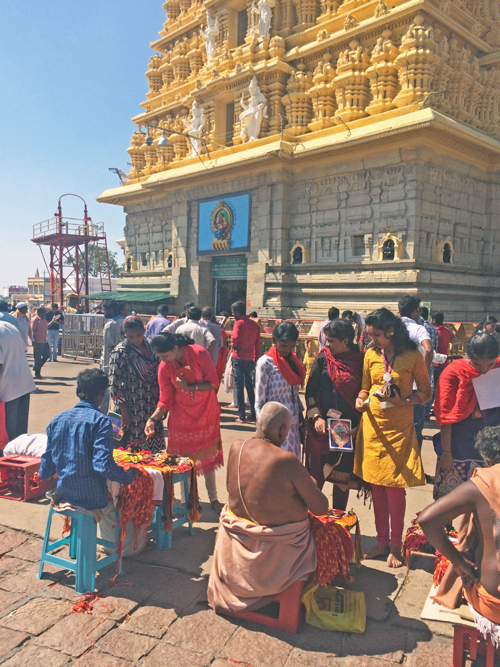 We also visited the Chamundi Temple which sits atop Chamundi Hill. 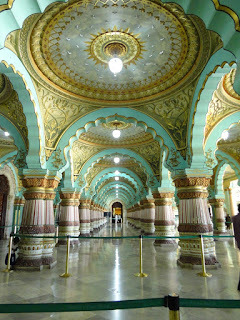 We climbed over 1000 steps to the top of the Hill, passing monkeys and small Hindu temples along the way. We were pleased to get to the top and surprised to find a bustling market place and busy square after our pretty solitary walk up the steps - it seems most people get the bus or a tuc tuc! While we were away it was Independence day so it was a National Holiday. 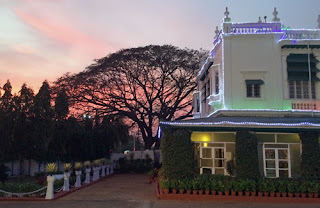 The Green Hotel staff all gathered at the front of the Hotel and hoisted the National Flag (the Tiranga) and sang the National Anthem. There is a beautiful lake within the grounds of the nearby University. 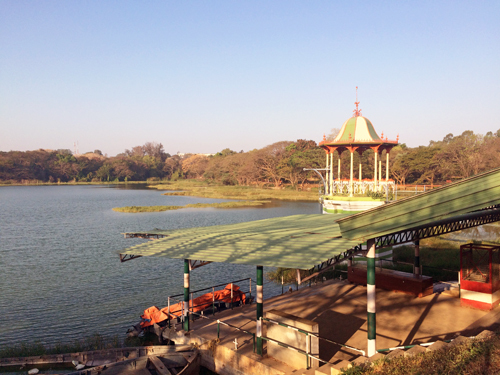 Kukkarahalli Lake is open for a few hours each day for people to walk around. 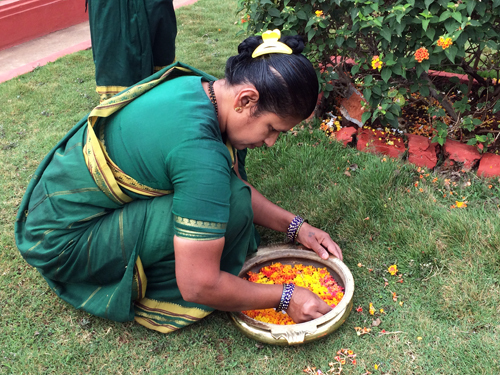 There are so many beautiful birds and it provides a lovely peaceful oasis within the noise and bustle of Mysore. It goes without saying that we did a fair bit of shopping! 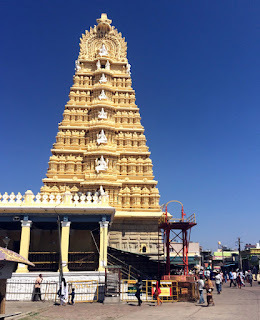 We walked around the incredible Devaraja fruit, vegetable and flower market. There are a couple of good quality films about the Market that you can see on Youtube if you want to get an idea of what the market is like. The fruit and veg stalls are incredible and the market provides a feast of colours and I especially loved the flower stalls. 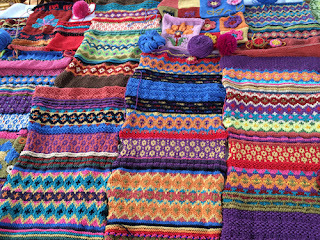 By the end of a our trip a huge amount of knitting had been done and the group had covered lots of techniques such as Fairisle, Intarsia, textural stitching, beading and making Dorset Buttons. 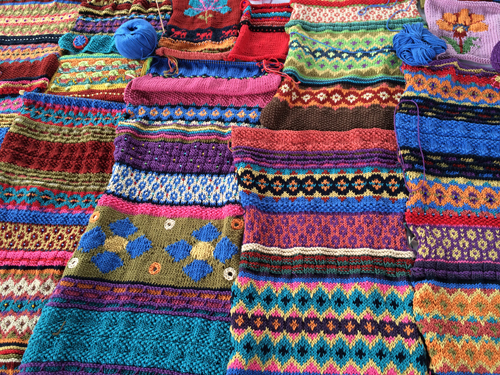 Some of the group charted and knitted their own designs and I was so proud of everything they achieved. Knit For Peace will be returning for another workshop at the Green Hotel next year and I can't recommend the trip highly enough. 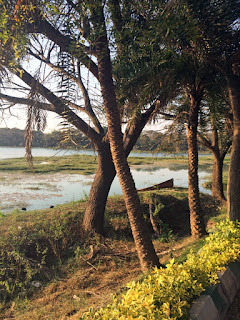 Staying at the Hotel, where all profits go to helping projects such as the supplementary schools and the orphanages, is a real treat and I feel like the whole experience has had an incredibly positive effect on both Andy and myself. We were so lucky to be amongst a fantastic group of knitters and are so grateful to all the staff at the Hotel for making sure we were so well looked after. 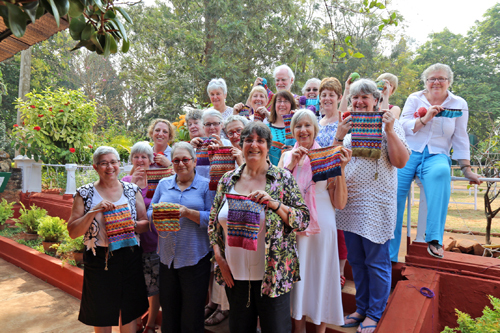 I am hopeful that we will return to the Hotel in 2018, especially as there are still many things left for us to visit and I would like to thank Dame Hilary and the team at Knit For Peace for all their generosity and hospitality. 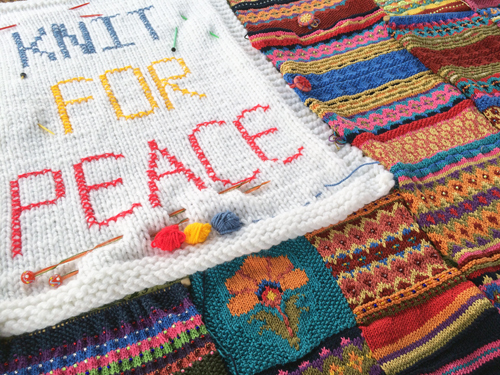 If you would like to find out more about the work of Knit For Peace and the workshops and events they run, please link through to their web site here.